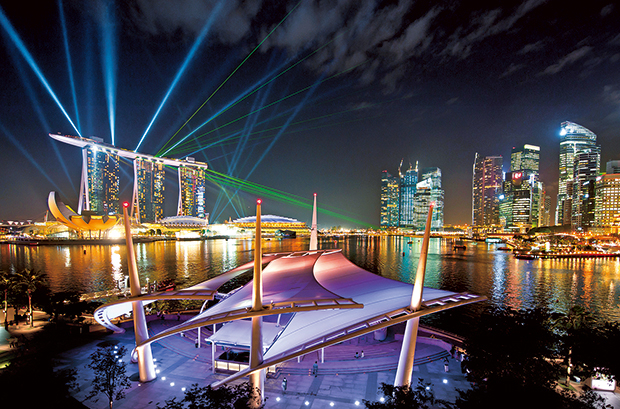 Singapore: Singapore will allocate S$724 million (Dh1.97 billion; $535 million) under a current plan to transform its economy into one that relies more on fields such as research and on companies that create new markets and jobs. The additional investment includes S$500 million for digital technologies such as artificial intelligence, super-computing and robotics under the five-year plan ending 2020, a government advisory panel on research and innovation said in a statement Wednesday. The amount includes S$300 million announced by Minister for Communications and Information S. Iswaran earlier this month. The Southeast Asian nation, a densely packed regional financial hub with a population of about 5.7 million, is seeking to attract more businesses and investors through the use of advanced technologies. The city-state plans to roll out artificial intelligence and cloud-based solutions to every business sector by 2020, Iswaran said March 4. The government will invest S$80 million to develop cell-therapy manufacturing to build on its success in the biopharmaceutical sector, which contributed 4 per cent to gross domestic product in 2018 and employs more than 7,700 highly skilled workers. Cell therapy involves injecting living cells into a patient to derive a therapeutic effect such as restoring tissue functions or fighting cancer. Singapore will also set aside as much as S$144 million for food-related innovations to help in sustainable urban production. These will involve tropical aquaculture, urban agriculture, and advanced biotech-based protein production. The nation aims to produce 30 per cent of its nutritional needs locally by 2030. The panel noted that global demand for proteins is expected to increase significantly in the coming decades as the world population increases and income levels rise. To capture the economic opportunities presented by this demand, the government will focus its research on plant and microbial-based proteins, as well as cell-based cultured meat. It will target investments to build on Singapore’s existing research capabilities in bio-engineering, nutrition, bio-processing and agri-food science to grow this new industry. The figures announced Wednesday fall under a S$19 billion budget for research, innovation and enterprise for a five-year period through 2020. The number of private-sector scientists and engineers in Singapore has increased from about 14,000 to 19,000 over 10 years till 2016.